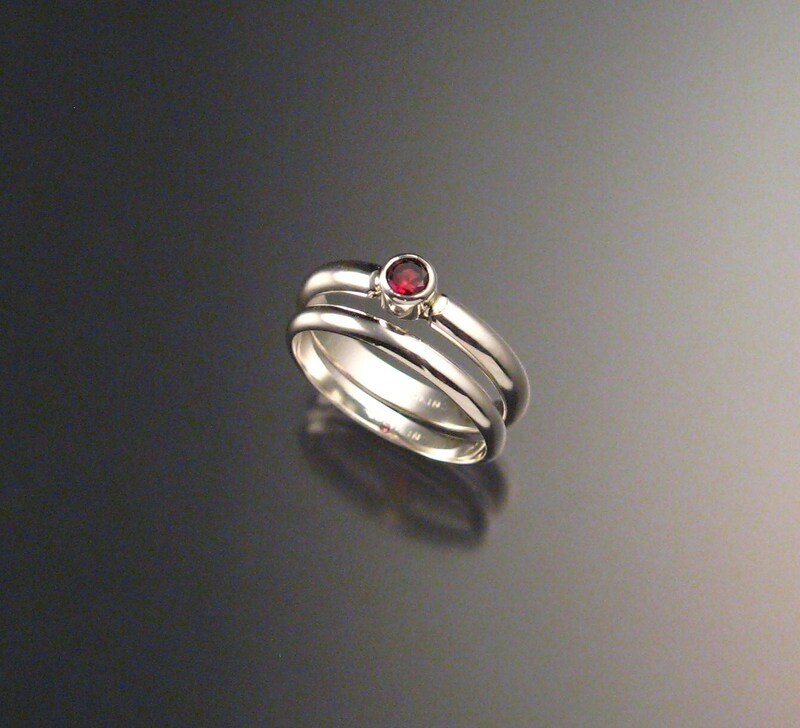 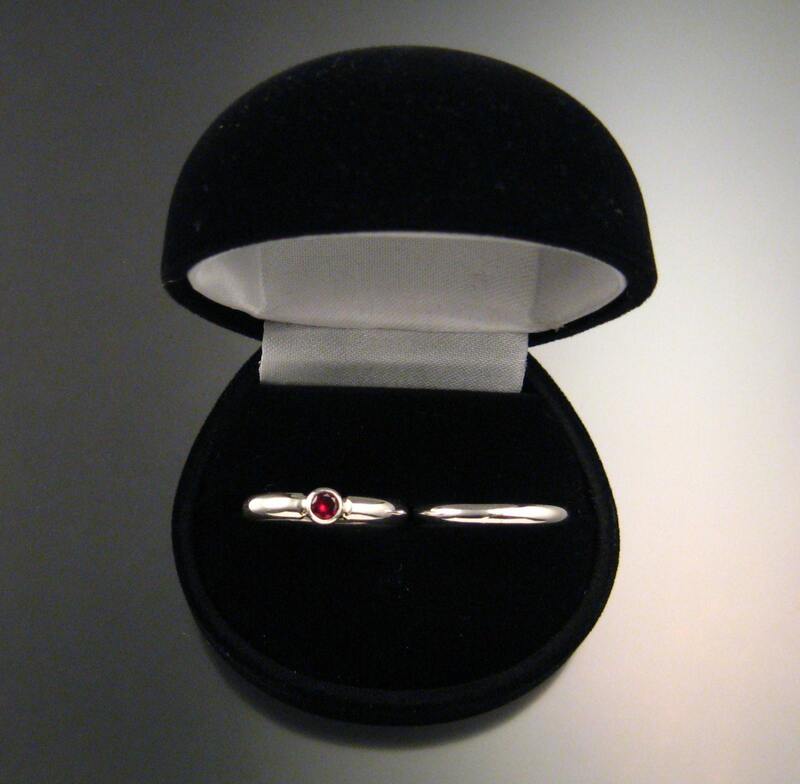 3 1/2mm round natural Ruby red Garnet is a gorgeous firey red color. 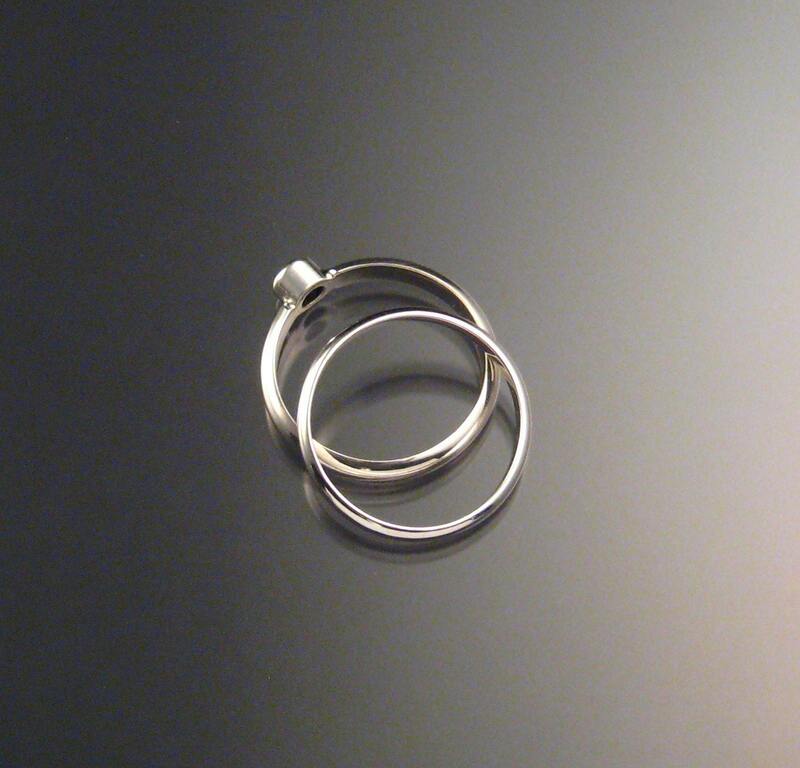 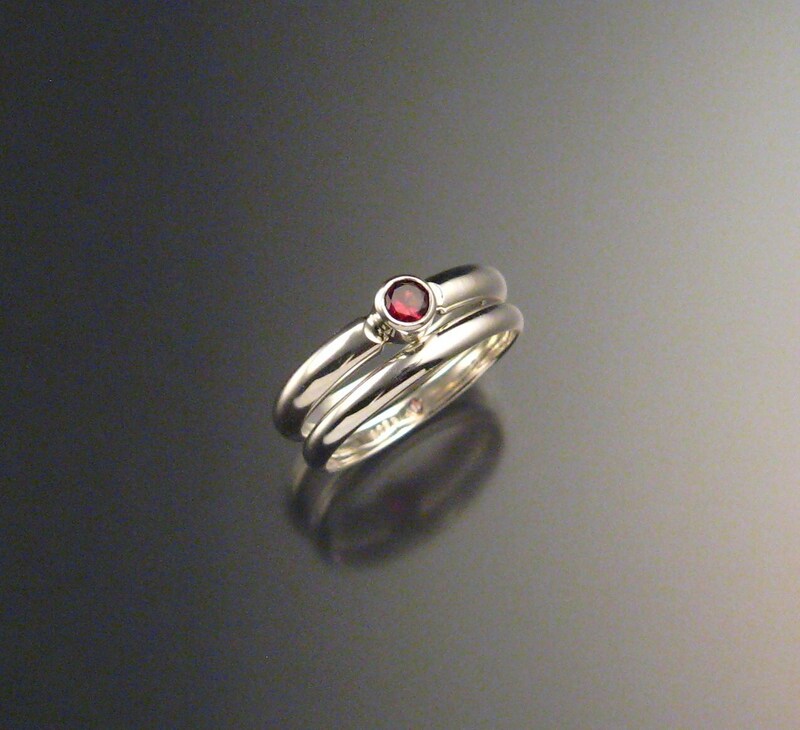 Bezel set stone and 3mm wide smooth half round band. 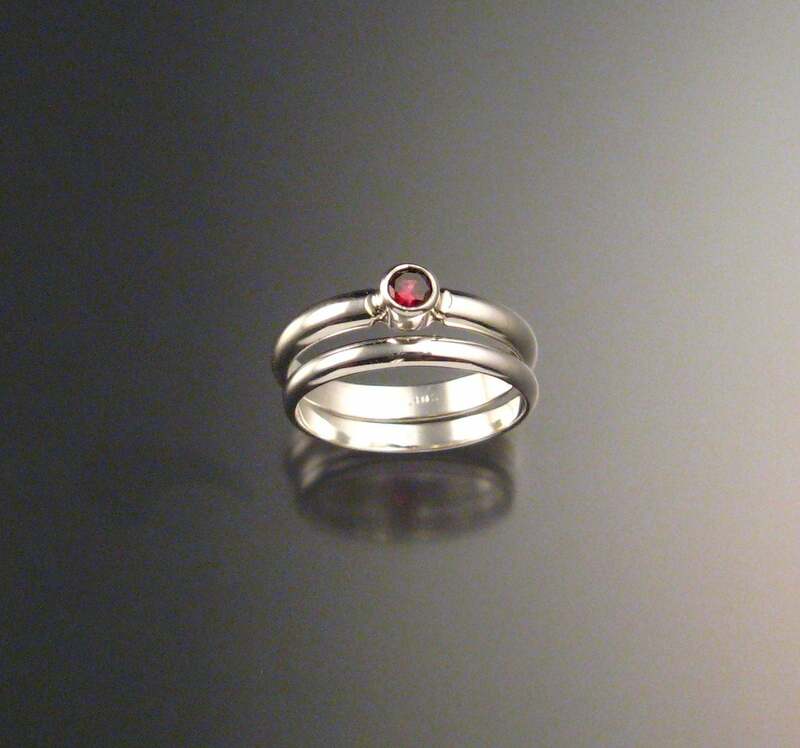 Beautifully cut stone is eye clean.